Forgive me for shamelessly plugging my business blog again, but I have to admit, I’m pretty proud of this most recent photo session. Anyone who knows me, knows that my adoption has played a huge role in my life. I have been blessed in unimaginable ways because my birthparents made the difficult choice to let me go, and then welcome me back into their lives 22 long years later. Being an adoptee is as much a part of me as my blue-green eyes and my inability to perform complicated math problems without getting a migraine. It’s just who I am. In the meantime, one of my good photographer friends told me about the Red Thread Sessions organization a few months ago, and I knew immediately that I wanted to get involved. In a nutshell, Red Thread Sessions is a non-profit organization that helps adoptive families connect with professional photographers who agree to volunteer their time and talent to helping the families capture some of their first memories together. Depending on the situation, the photographers may be asked to photograph the birth of a child, a family returning home with their new child from overseas, or even a family session after the child has settled into his/her new home. The families receive the full session and proofs from their session free of charge. I submitted my portfolio immediately, and was thrilled when I received approval to become a RTS volunteer. Then, just three weeks ago, I received my first inquiry. 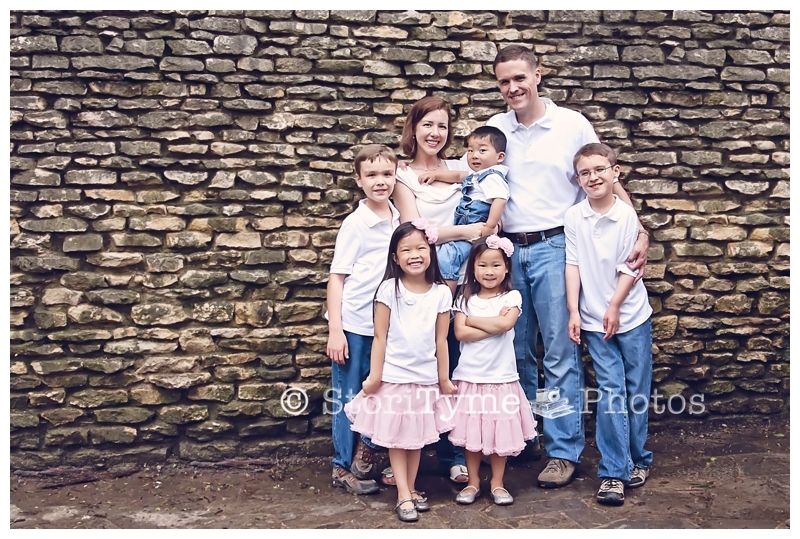 I posted the P Family’s gallery today and shared their story and a few of my favorite images from their session on my StoriTyme Photos Blog. The blog post will also be featured on the RTS website, and is currently pending approval. So, please head over to the StoriTyme Photos Blog by clicking the link or the photo below to see a few photos of the amazing family I got to spend an evening with at my very first Red Thread Session. Thanks for looking! Next Entry Happy Mother’s Day! thank you for posting! i am working on my portfolio, i cant wait to submit it to Red Thread! !